Welcome to SDA Cloud, a cloud-based application that works in conjunction with SDA and tracks SalesDoc Architect quote activity, allowing you to track, manage and report on quote activity and the sales opportunities associated with those quotes. When SDA Excel quote files are saved at the desktop, several pieces of that quote data are pushed to the cloud and added as data for a particular opportunity. Information can be viewed, managed and reported on using a browser-based user interface. SDA Cloud enables you to dynamically group, filter and sort your opportunity data so you can glean actionable information from it. SalesDoc Architect users will continue creating quote files using SDA as they have in the past, with one additional step: when a quote file is first saved or a multi-site configuration file is imported, the user will be asked to associate the quote(s) with an existing sales opportunity, or to create a new sales opportunity. With just one keystroke, you can add a new sales opportunity to SDA Cloud. Once the quote file(s) have been associated with a sales opportunity, simply saving the quote files each time you edit them will update the quote data and automatically push it to the cloud. Every 10 seconds, SDA transmits any changes to the saved quote and its opportunity data to SDA Cloud’s cloud database. Opportunity data comprises more than just information from a quote file– it’s much bigger than that! Items such as the sales pipeline stage, probability of closing the deal, etc. give good information about your pipeline health and are important to manage as well. When logged into SDA Cloud, you’ll be presented with a view of your opportunities. From this opportunity grid, you can group, sort and filter data by using the drag and drop feature. You can also edit the opportunity and view the latest quote data associated with the opportunity by clicking the hyperlink on the particular opportunity’s row. Opportunity data like close date, probability and status, is managed via the SDA Cloud application. Your quote information such as Site Description, Total Sell price, etc. will continue to be managed in SDA. Export the filtered data to Excel and use the Excel functions to create graphs and build charts on your opportunity statuses. 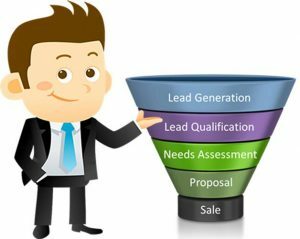 Now you’re ready to analyze your sales pipeline!